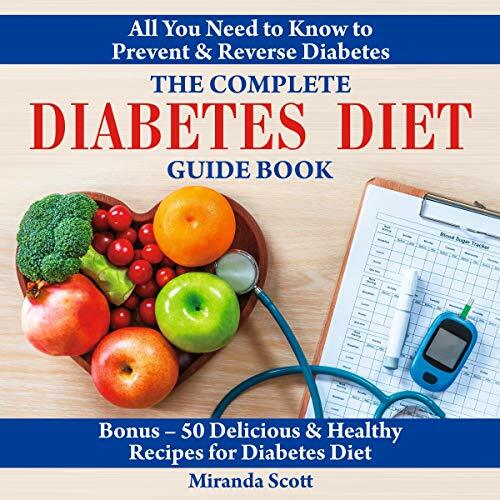 The author of the book The Complete Diabetes Diet Guide Book describes in detail the causes of the disease and provides practical advice for preventing diabetes. Miranda Scott offers a simple way through which patients with diabetes can live a full life and be happy. After listening to this book, you will be able to understand the disease and find out about the common myths and misconceptions that hinder optimal disease management. This book helps reduce the prevalence of diabetes among adults and children. And bonus! 50 Delicious & Healthy Recipes for Diabetes Diet! This 162 page book covered simple easy to prepare recipes to fight. The author also explains the three calorie levels. Overall, a very interesting book on the Need to know to Prevent and Reverse Diabetes. The narrator, Dr. Michelle Carabache, did well with the narration.